FL09 - DMX bal. 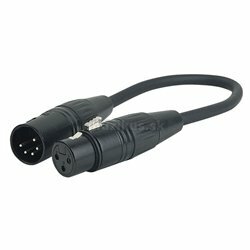 XLR/M 3 p. XLR/F 3 p.
FL09 - bal. 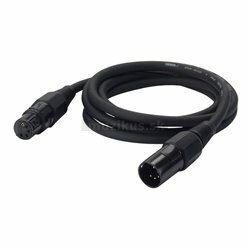 XLR/M 3 p. XLR/F 3 p.
FL08 - bal XLR/M 5 p. XLR/F 5 p.
1,5 m Prefab DMX/digital cable with 5 poles. For light and multipurpose use with excellent quality and good specifications. 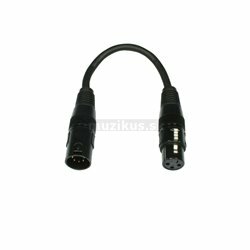 To avoid unnecessary signal-distortion with digital signal-transmission it is advisable to use the DAP FL09 (Digital AES-EBU norm) 110 Ohm cable. 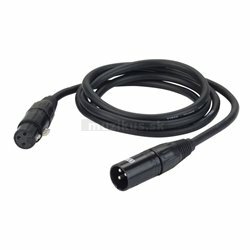 3 m Prefab DMX/digital cable with 5 poles. For light and multipurpose use with excellent quality and good specifications. 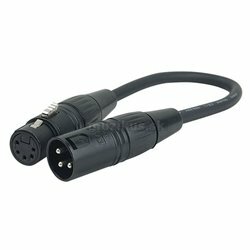 To avoid unnecessary signal-distortion with digital signal-transmission it is advisable to use the DAP FL09 (Digital AES-EBU norm) 110 Ohm cable. 6 m Prefab DMX/digital cable with 5 poles. For light and multipurpose use with excellent quality and good specifications. 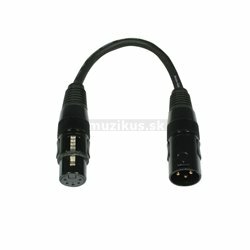 To avoid unnecessary signal-distortion with digital signal-transmission it is advisable to use the DAP FL09 (Digital AES-EBU norm) 110 Ohm cable.